This episode of SIDHA KURA JANATA SANGA is focusing about Taxi drivers attacked the camera person of SIDHA KURA JANATA SANGA for the Taxi's Mis used and they don't want to go the place those travelers wants,To make a road till the own private house destroyed others house, about the Airport's 12 number counter. 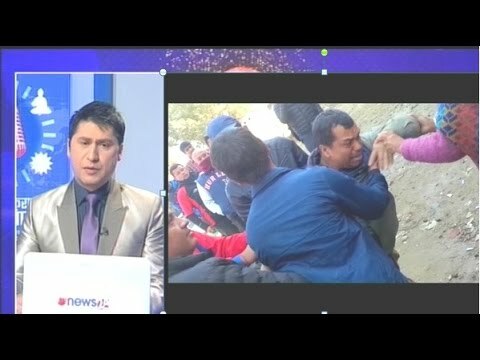 Kundan thapa who deid in the police school and still not declared the reasons, Talk with DIG Bom bahadur bhandari about the Kundan's death. Office of central Blood bank, Nepal which is not easy to go there, far way and difficult to find the office. any more watch below video.